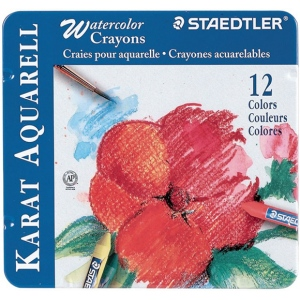 Versatile crayons can be used dry or blended with a wet paint brush to create a watercolor motif. * Can also be used with rubber stamping and scrapbooking. * Special effects can be achieved by layering and scratching. 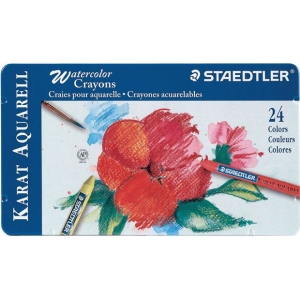 * Colors are highly opaque and lay down smoothly. * Packaged in storage tins.